Life starts with a fertilized egg (an embryo). 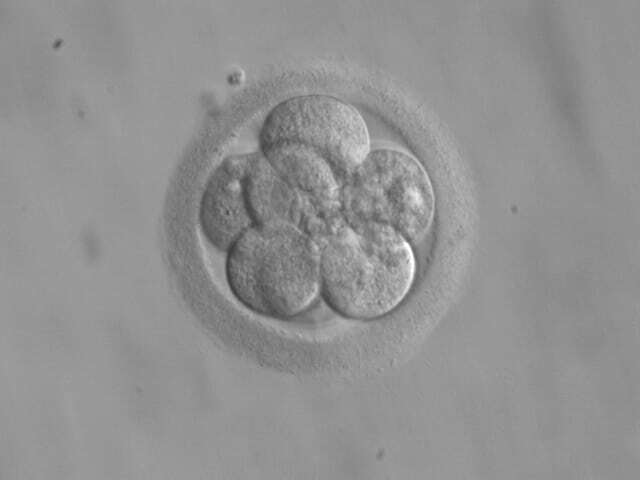 The number of cells within the embryo then increases through cell division, and the embryonic cells further differentiate into various types of mature cells. Eventually, the embryo develops into an entire individual. One might ask, “Can our body cells reverse back to the early embryonic stage?” The answer is “yes,” with the advent of modern biotechnologies such as induced pluripotent stem cell (iPSC) technology. iPSC technology allows us to convert the differentiated, somatic cells (skin cells, for example) into the early embryonic stem cell stage, a process called reprogramming. These embryonic stage cells (iPSCs) are pluripotent, i.e., they have the potential to develop into any cell types of our body. Four genes, namely OCT4, SOX2, KLF4, and cMYC, are commonly ectopically introduced into mature cells for the generation of iPSCs. These genes encode proteins, called transcription factors, that regulate cellular gene expression through binding to their specific target genes in the cell nucleus. During the reprogramming process, these four factors work together to alter the expression of numerous genes related to reprogramming, thereby switch the cellular identity from the differentiated, somatic state back into pluripotent stem cells. iPSCs hold great promise in regenerative medicine since they can be derived from patients’ own cells and be coaxed to form the cell types, tissues, or even organs needed to restore the normal body function of these patients without immune-rejection. In a clinical trial in 2016 in Japan, scientists carried out retinal transplantation to one eye of a 77-year-old woman with age-related macular degeneration (AMD) disease, with the retinal tissues differentiated from iPSCs generated from this patient’s own somatic cells. While the untreated eye of this patient later became almost completely blind, this experiment prevented her from further losing her vision in the treated eye. However, the reprogramming process for human iPSCs takes as long as 3-6 weeks and has a very low efficiency in that only 1 iPSC colony eventually forms out of 1,000 to 100,000 mature cells. These are among the major obstacles for iPSC-related clinical applications and laboratory basic research. In our recent study, we intended to improve both the efficiency and dynamics of human iPSC generation process. As OCT4 is a key transcription factor that determines the pluripotency-related gene expression and the master regulator for reprogramming, we hypothesized that an enhancement of the OCT4 transcription factor activity would favor the iPSC generation process. The strategy we employed was through protein engineering to produce a chimeric protein. All transcription factors contain the trans-activation domain (TAD) which acts to regulate their target gene expression. Among the four reprogramming factors, the TAD of cMYC is known as a potent gene activator. We reasoned that although OCT4 has its own TAD domains, an “OCT4 super protein” for gene expression regulation may be generated if we graft the TAD of cMYC onto OCT4. In our study, several MYC-TAD-OCT4 fusion proteins were constructed by joining different portions of the cMYC TAD to OCT4. Among all the constructed MYC-TAD-OCT4 fusion proteins, two of them led to the production of completely reprogrammed, pluripotent human iPSCs in 10 days as well as the increase of reprogramming efficiency for ~100 fold compared with the wild-type OCT4. Our study also confirmed that a cohort of target genes relevant to the reprogramming process are indeed much strongly stimulated by our engineered MYC-TAD-OCT4 fusion protein. Protein engineering of reprogramming factors is of great promise for establishment of large amounts of patient-specific iPSCs within a short period of time, which can facilitate the clinical application of iPSC for tissue and cell replacement therapy, as well as the basic research to understand the complicated reprogramming process in order to further optimize the pluripotent cell generation in the laboratories. These findings are described in the article entitled, Enhanced human somatic cell reprogramming efficiency by fusion of the MYC transactivation domain and OCT4, recently published in the journal Stem Cell Research. This work was conducted by Ling Wang, Delun Huang, Chang Huang, Yexuan Yin, Kaneha Vali, and Young Tang from the University of Connecticut, and Delun Huang and Ming Zhang from Guangxi University. Wang L*, Huang D*, Huang C, Yin Y, Vali K, Zhang M, Tang Y. Enhanced human somatic cell reprogramming efficiency by fusion of the MYC transactivation domain and OCT4. Stem Cell Research 2017, 25: 88-97 (* denotes co-first authors). Ling Wang is a graduate assistant at the University of Connecticut | UConn · Department of Animal Science. 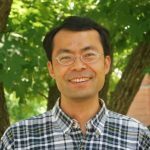 Young Tang is an Assistant Professor at University of Connecticut.